Please refer to new article "For understanding of Surface Tension"
The molecules at the surface of a liquid are subjected to unequal forces. In general, we consider only the interface between the surface of the liquid and a reference gas (air or the vapor of the liquid). 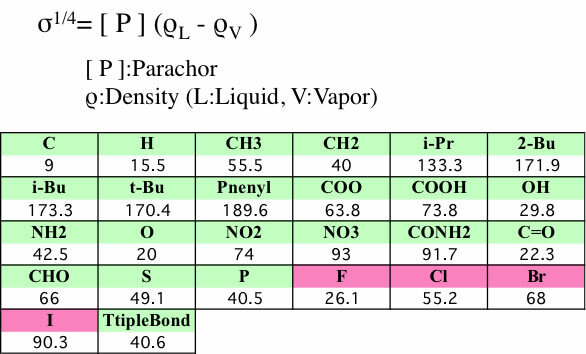 If the density of the gas or vapor is low, the molecules at the liquid surface are attracted toward the bulk liquid; the gas or vapor phase exerts considerably less attraction. As a result, the surface is in tension, which causes it to contract to a minimum area consistent with the mass of material and the container walls. This force is a characteristic property of a given liquid at a given temperature. The surface tension is defined as the force per unit length (usually dynes/cm) in the plane of the surface and is represented by the symbol s. It may also be expressed as energy per unit area (ergs/cm2). 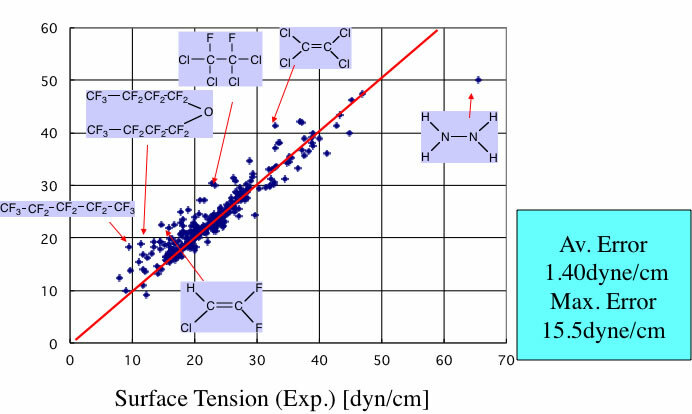 Surface tensions for most organic liquids are between 25 and 40 dynes/cm at room temperature, although polyhydric alcohols range up to 65 dynes/cm. For comparison, the surface tension of water at 25'C is 72 dynes/cm. Most popular method for estimating is Macleod-Sugden method, as inputs, the parachor, density (or molar volume). With this method, temperature effect can import only from density. But temperature dependency for density and surface tension is not identical. 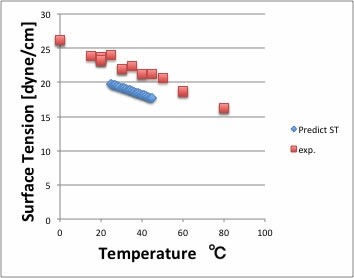 Our Neural Network method of predicting Surface tension takes account for temperature effect. The parachor can be visualized as a comparative volume between two liquids and is reasonably independent of temperature. Quayle presented a comprehensive review of methods for estimating the parachor and devised one that is suitable for a wide variety of organic compounds. For most purposes r v is so much smaller than rL that it can be ignored. This equation is the basic equation for surface tension estimation. Errors typically average 5%, but individual values can deviate as much as 30% from measured values. 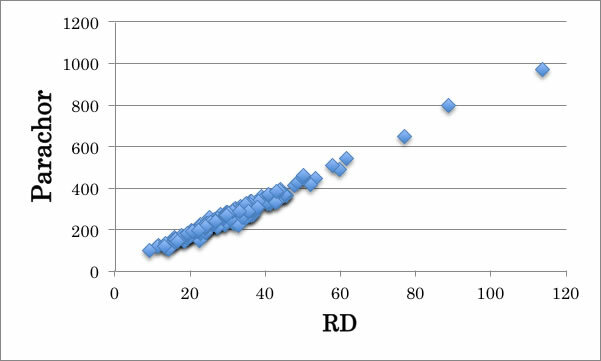 you can estimate Parachor from molar refraction [RD]. This JAVA applet predict liquid density with using neural network method. This method is very sensitive to Liquid Density. Van Krevelen method is developed for polymer surface tension. This method is also sensitive for density. 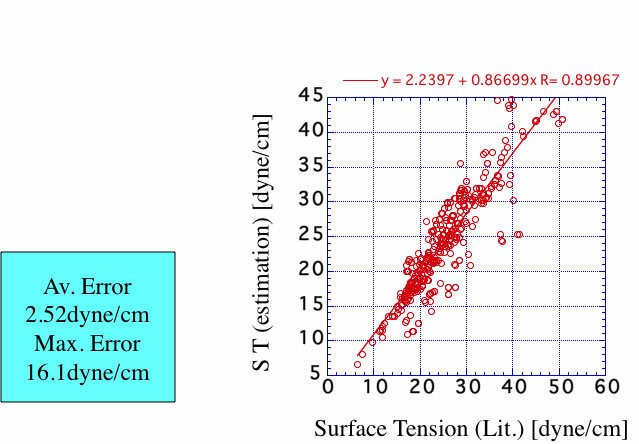 The most famous estimation method for Surface Tension is Macleod-Sugden method. This method allocate Parachor to each Functional group and calculate surface tension with following equation. For typical organic compounds case, the density of vapor is not so large compare to liquid density, so a lot of case, they ignore vapor density. With using this scheme, I validated the data listed in ”Chemical properties handbook, Yaws". There are large error for halogen-containing compounds. The vapor density of halogen-containing compounds is very large and can not neglect. The other reason is lacking definition of functional groups for halogen-containing compounds. So I expand definition of FGs. This expansion is very effective and accuracy is improved. I also build Neural Network method with JAVA and put it on Pirika site. The accuracy of this version become like below. Thus, the surface tension at room temperature can be estimated by these group contribution base methods. 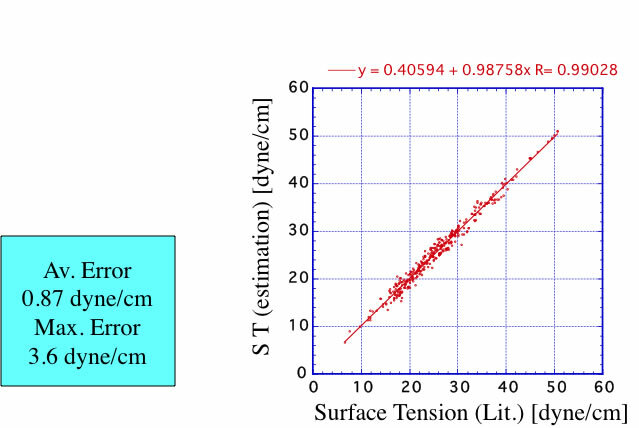 The problem is that how can we estimate temperature dependency of surface tension. 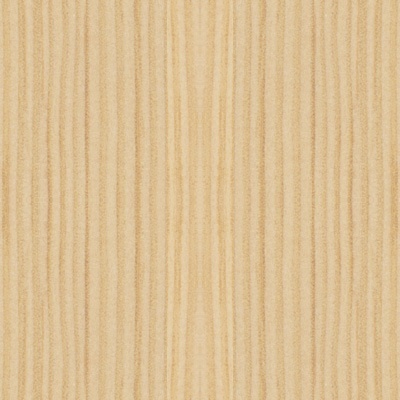 For example, surface tension of Ethyl Acetate is 23.97dyne/cm at 20℃. The liquid density at this temperature is 0.90063g/cc. Calculated surface tension by Macleod-Sugden method become 23.24dyne/cm. it is very good. But with this scheme, density affect square 4, so density change +3% surface tension become 26.16(+9%), density change -3%, surface tension become 20.58(-14％). So it is impossible to handle temperature dependency with only density change. One kind of Corresponding state theory, Brock-Bird method calculate surface tension with following scheme. 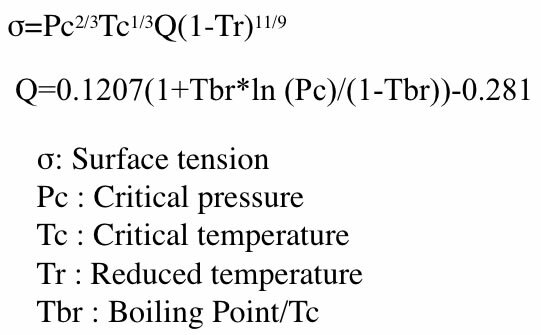 This method can handle temperature dependency with Tr(T measurement/Tc:crirical temperature). If you want to know the surface tension except room temperature, Brock-Bird method is worth using. 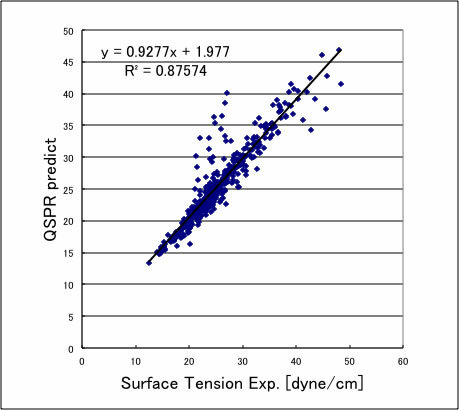 YNU-simulator estimate surface tension at certain temperature with QSPR method. The carboxyl compounds shifted upward so can not use. The absolute deviation is large but temperature dependency of surface tension reproduce very good. 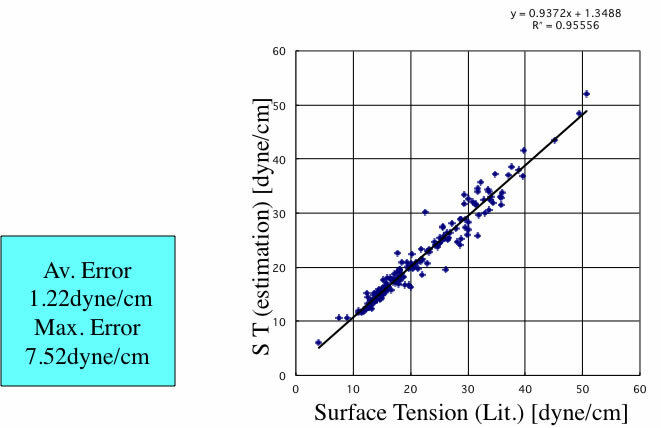 The experimental Surface Tension value itself differ from data source, so this accuracy is enough.